Body Worlds Vital is the only exhibition of real human bodies with an established and ethically reviewed donor program based in Heidelberg, Germany. 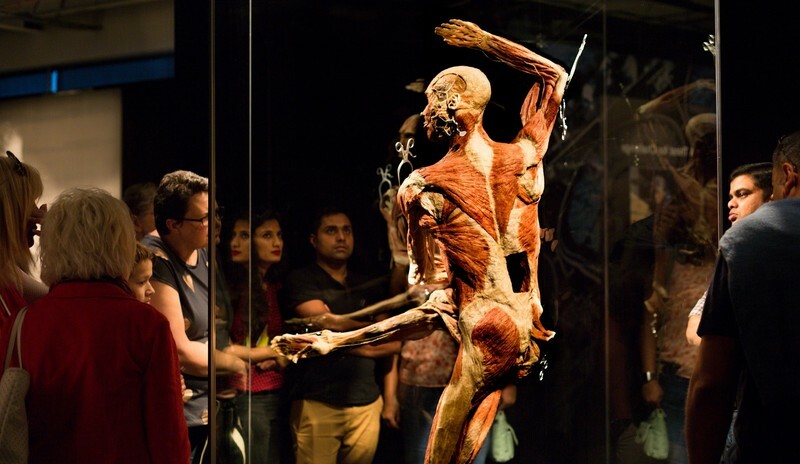 Over 150 anatomical specimens donated for the benefit of public education and exhibition have gone through a meticulous year-long process of ‘plastination’. The resulting specimens illustrate how lifestyle decisions impact the wellbeing and health of our body. The Body Worlds Vital exhibitions were founded by anatomist and scientist Dr Gunther von Hagens, inventor of the plastination process, and Dr. Angelina Whalley, physician and conceptual designer. They have curated one of the world’s most successful travelling exhibitions since its inception.